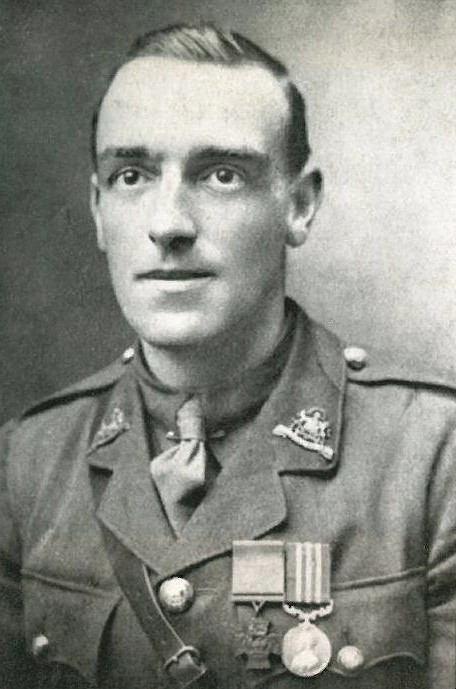 During the course of the First World War, four awards of the Victoria Cross were made to men from the Trafford area. Edward Kinder Bradbury was born on the 16th August 1881 at Church Bank, Bowdon, the son of Judge J. K. Bradbury of the Bury-Bolton circuit. He was educated at Marlborough and passed out of the Royal Military Academy at Woolwich, entering the Royal Artillery in 1900. 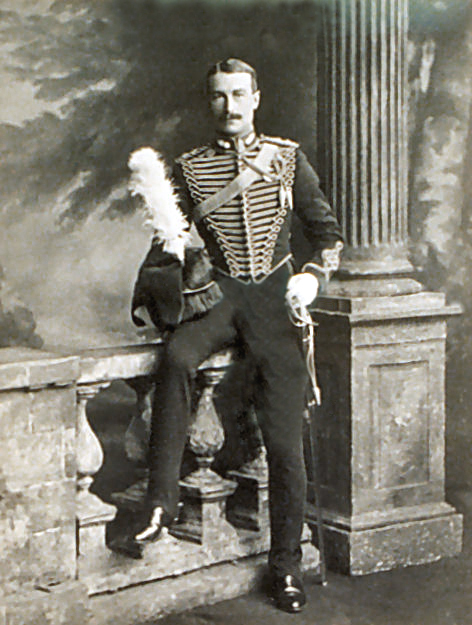 He was promoted to Lieutenant in April 1901, and saw service in Cape Colony during the latter stages of the Boer War, receiving the Queen’s medal with 2 clasps. He was promoted to Captain in 1910. 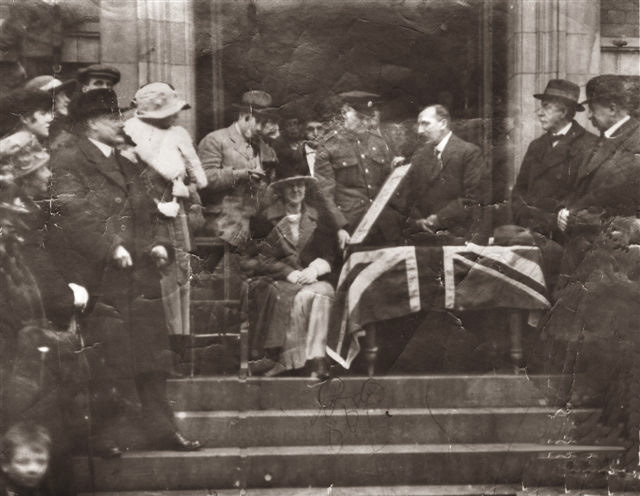 At the outbreak of the Great War, Edward was serving with the British Expeditionary Force which, after being faced by an enemy far superior in number to its own, was retreating from Mons in Belgium. At Néry, France, ‘L’ Battery was attacked by a strong German force. Despite being severely wounded, Edward continued to direct the firing of the gun; he died later of his wounds. At dawn on the 1st September each year in Néry, the action is remembered by ‘L’ Battery, who present a thirteen pounder field gun and discharge a single shot. 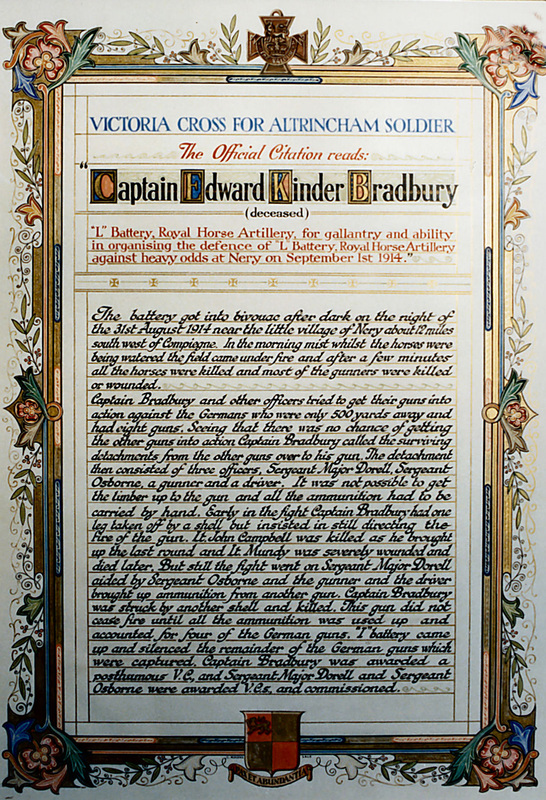 On September 1st 2014 the bravery of Edward Kinder Bradbury was honoured by Trafford Council with the presentation of a Blue Plaque on the site of his birthplace, Churchbank in Bowdon. Charles Harry Coverdale was born on the 21st April 1888 and is shown on the 1891 and 1901 censuses living with his family in Stretford Road, Old Trafford. In 1914, shortly after the outbreak of war, he enlisted in the Manchester Regiment, serving with the 11th Manchesters at Gallipoli, where he was promoted to Sergeant. He later served on the Western Front in France. Charles was recommended for a commission and became a 2nd Lieutenant in 1918. After the war, he became the Chief Engineer of Joseph Lumb & Sons in Huddersfield. He died in 1955 and was buried with military honours in Edgerton Cemetery, Huddersfield. In October 2017 Trafford Council will honour the bravery of Charles Harry Coverdale with the award of a Blue Plaque. 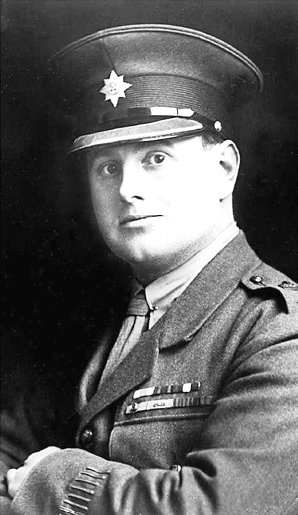 He was wounded and severely gassed during the action and evacuated to hospital in Liverpool. ‘Presented to Lance-Corporal George Onions of Sale, by his fellow townsmen in recognition of having won the Victoria Cross in the Great War’. After the war he moved first to Northumberland and then to Birmingham where he died aged 61. He is buried in Quinton Cemetery, Birmingham. In August 2018 Trafford Council will honour the bravery of George Onions with the award of a Blue Plaque. James Neville Marshall was born on the 12th June 1887 at 2 Crosby Place, Steven Street, Stretford, the son of James Henry Marshall and Mary, née Walmsley. He married Edith Taylor in 1911. 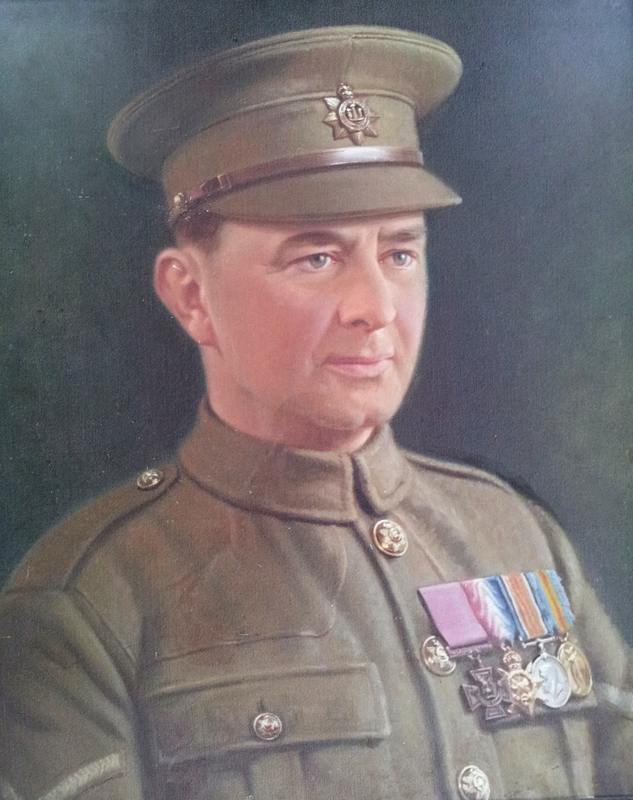 In the First World War James enlisted in the Irish Guards. By 1918, he was an acting Lieutenant Colonel attached to the Lancashire Fusiliers. On the 4th November he was commanding 16th Battalion at the battle of the Sambre when a partly constructed bridge over the Sambre-Oise Canal came under concentrated fire and was broken before the advanced troops of his battalion could cross. James at once organised repair parties and under intense fire stood on the bank encouraging his men and assisting in the work. When the bridge was repaired he attempted to cross at the head of his battalion and was killed. He was aged 31. In November 2018 Trafford Council will honour the bravery of James Neville Marshall with the award of a Blue Plaque.